Description – Taking your intuitive and healing superpowers to the next level. Solidifying the foundation of connection with yourself, others and divine to manifest everything in life faster and easier. Live life in the flow. Warning: This workshop may result in better relationships and love, career advancement, more money, better health, better life decisions to save you time and money. 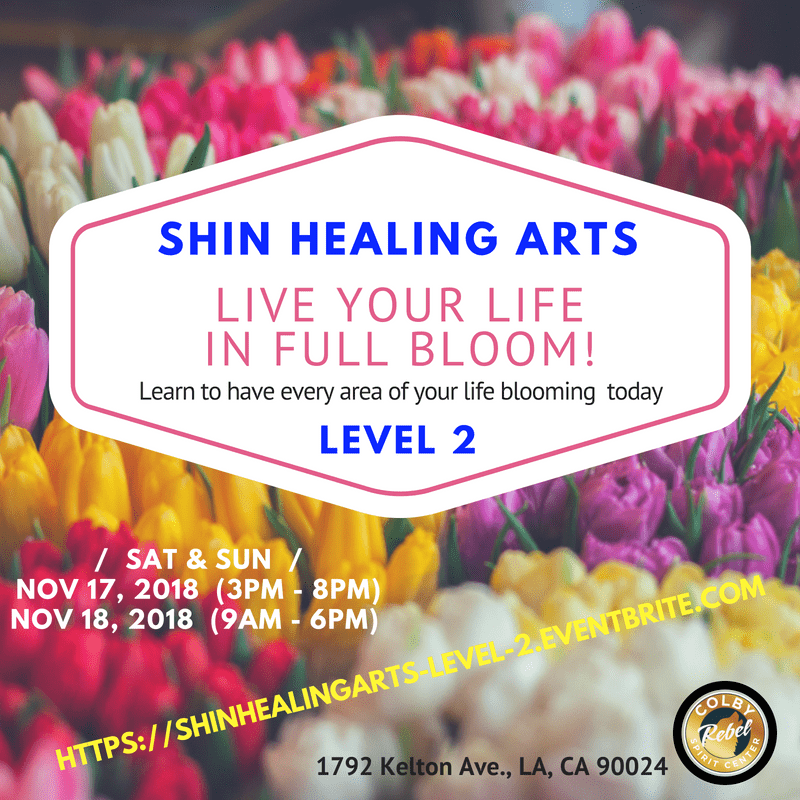 You will be engaging in fun, active exercises to flex your intuitive muscles, practice mediumship, medical mediumship and healing with like-minded people. Practical applications to enhance your daily life. Prerequisite: Level 1 is required. Early bird price of $475 ends 10/21/18. Regular price is $525.